I’m such a sucker for adorable packaging. Last week, I finallllly dropped into The Face Shop in Chinatown. I’ve heard SO much about this Korean cosmetics brand and needed to check them out myself. Originally, I wanted to buy their cc cream that comes in a compact case (so cute! ), but the shades were too dark, even the light. I ended up just browsing and purchasing random items. It was a rush buy since it was closing time! I also got some free samples to try. So far, I’m really in love with the hand cream (smells so good!) and brow mascara. 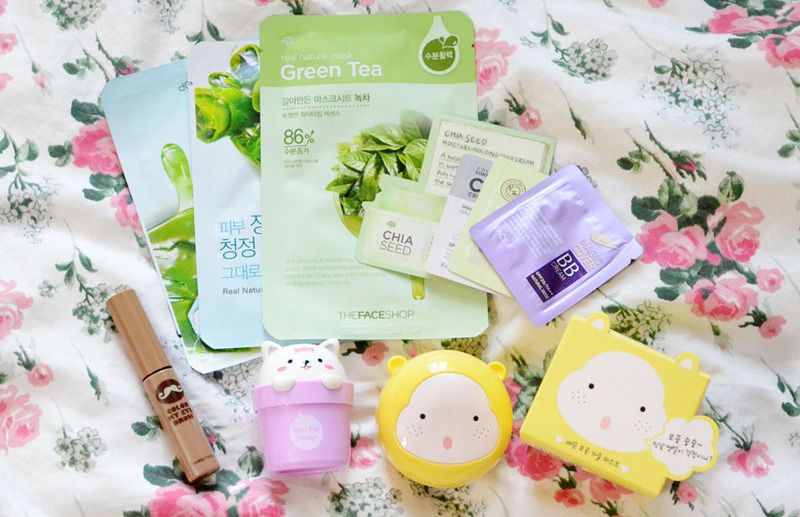 Has anyone else tried The Face Shop? Would love recommendations!